As the calendar hits mid-January the NBA regular season reached the halfway point, and there are a few surprises to speak of. For starters, nobody expected the Cleveland Cavaliers to play as badly as we've come to witness. Sure, they will still finish as one of the top teams in the East, but they are money burners when it comes to betting on them against the spread. The Cavs have covered the spread in just 11 of 43 games, which puts them dead last in the NBA in that category. Shockingly, the Brooklyn Nets are currently the best ATS bet in The Association, covering at a 65 percent clip (28-15-1). But enough about ATS rankings. The purpose of this article is to help you understand who the best and worst "over/under" teams are in the NBA. Totals wagering can be tricky at times, but if you know which key stats to look at you should be able to turn a profit. Since we are halfway through the regular season, there is now enough data and trends available for handicappers to sift through. One of the key categories I look at before making a play on the total is the pace of play. The pace of play is a formula which projects how many possessions a team gets (on average) per game. The higher the possession count, the more opportunities to score the basketball. Another key category that should be taken into consideration is offensive and defensive efficiency. These categories are simply how many points a team scores/allows per 100 possessions. So without further hesitation, let's jump right into the teams with the best "over" records this season. The New Orleans Pelicans are one of the biggest enigmas in the entire NBA. They have two bonifide superstars in Anthony Davis and DeMarcus Cousins, but the rest of the supporting cast continues to be weak. The Pelicans currently reside in sixth place in the Western Conference with a record of 23-20 and are as consistently average as you can possible be. They are 11-9 at home and 12-11 on the road, while averaging 111 points for and giving up 111 points against. 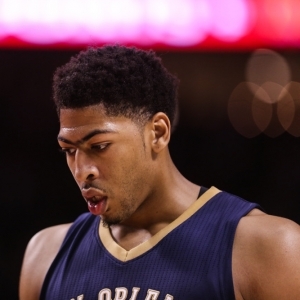 The Pelicans' style of play so far this year has helped "over" bettors win at a decent clip. There are a number of reasons for this, with the main reason being their pace of play. The Pels currently rank sixth in the league with a pace of play of 101.8 possessions per game, and they turn that into an offensive efficiency of 108.5 points per 100 possessions. On the defensive side of things, the Pelicans struggle to get stops. They allow teams to score 107.5 points per 100 possessions which is why they are one of the leagues best "over" plays. When "The Brow" and "Boogie" are going, the Pelicans can score at will; unfortunately, they just can't stop anyone. Key Trend: The Pelicans love some home cooking. The Pelicans are 14-6 (70 percent) to the "over" at the Smoothie King Center. Something will have to give in their next home game as they take on the leagues best "under" team, Memphis, on Jan. 20. Raise your hand if you thought the Bulls were headed for the worst record in the league and a lottery pick in the upcoming NBA Draft. The Bulls were a complete disaster to open the season, dropping 10 of their first 13 games. They have since "rebounded" to own a 17-27 record, which is good for 12th in the Eastern Conference. Aside from introducing "Fight Club" to the NBA, the Bulls have been extremely useful for bettors looking to play the "over" in their games. The Bulls average 99.6 possessions per game, which relates to 101.6 points scored per 100 possessions. On a team scarcely filled with legitimate NBA talent, those stats aren't half bad. The problem lies on the defensive end of the court. The Bulls give up 108 points per 100 possessions to opposing teams, which is why seemingly all of their games reach the century mark. Just look at their last 10 score lines; 119-111 (O), 107-105 (O), 122-119 (O), 116-107 (O), 125-86 (U- by one point),127-124 (O), 124-115 (O), 124-120 (O), 114-110 (O), 119-107 (O). As you can see, the Bulls are 9-1 to the "over" in their last 10 games, and I see no reason why they can't continue that trend based on the stats. *Side note: The Bulls take on the Pelicans on Jan. 22. Key Trend: The Bulls are hitting at a 63.6 percent clip (14-8) to the "over" as the road team. The Bulls embark on a three-game road trip starting on Jan. 20, with stops in Atlanta, New Orleans and Philadelphia. The Los Angeles Clippers currently sit in seventh place in the Western Conference with a record of 22-21. After trading away their all-star point guard, Chris Paul, in the offseason, many expected the Clippers to struggle this year to make the playoffs. Halfway through the season, the Clips have proved those experts both right and wrong thanks to up-and-down performances. The Clippers are currently riding a five-game winning streak and have gone 4-1 to the "over", making "over" bettors very happy. That totals record shouldn't come as a surprise to anyone considering they average 100.2 possessions per game and they turn that into 107 points per 100 possessions. Defensively, the Clippers give up 106.3 points per 100 which is why Clippers' games are very kind to "over" backers. Considering the Clips play in the West, where five of the top eight teams in pace of play are from, I expect them to continuously exceed the posted totals barring any major injury to key contributors. Key Trend: The Clippers love their rest. The Clippers are 8-2 (80 percent) to the "over" when they have two or three days off before their next game. The next opportunity to play this trend is on Feb. 3 when they take on Chicago on three days rest. The Memphis Grizzlies are just a few seasons removed from 55-win season, but damn how quickly the tide has turned. The Grizzlies currently sit in 14 th place in the Western Conference with a record of 14-28, one win better than the last-place Sacramento Kings. The Grizzlies have cemented themselves as one of the leagues' best "under" teams thank to how they play and who they have left to play with. The Grizz currently average 96 possessions per game, which is dead last in the Association for pace. They are also in the bottom six for offensive efficiency, scoring a meager 103 points per 100 possessions. Defensively, the Grizzlies allow opponents to score 106.2 points/100 which really makes me question how they are hitting at a 62.5 percent "under" clip. Looking back at their last 10 games, the Grizzlies have gone "under" four times, which could mean the bookmakers are starting to catch on and lining games with an unreasonably low total. That is something to look out for moving forward. Is it just me or do you also feel like the Spurs rest their starters literally ever game? Considering their record to the "under", that may just be the case. The Spurs are once again a formidable force in the Western Conference sitting in fourth place with a 29-16 record, which is remarkable considering how much time Kawhi Leonard missed to open the season. LaMarcus Aldridge is the main cog in an offense that ranks next to last in pace of play. The Spurs average just 96.7 possessions per game and parlay that into 105 points per 100 possessions. Defensively, the Spurs are even better. They hold opponents to just over 101 points/100, which means the Spurs are one of the best teams in the league and making their shots count. Key Trend: The best time to get in on the "under" is when the Spurs are on the road (7-17, 70.8 percent). The Miami Heat once again find themselves on this list after making an appearance around the same time last season. This year, they are 25-18 and sit fourth in the Eastern Conference, one game back of Cleveland. It's been an injury-plagued first half of the season for the Heat, so the "under" record is not all that surprising. The Heat own the league's fourth-worst pace ranking, checking in at just 97 possessions per game. They are able to turn those possessions into 103.7 points/100 while holding the opponent to 104.6 points/100. In the much weaker Eastern Conference, the Heat are usually the superior team, which allows them to dictate the pace of play to their liking. Key Trend: The Heat are 5-9 to the "under" as a home favorite. Look to play on the "under" when the Heat take on the Kings on Jan. 25.